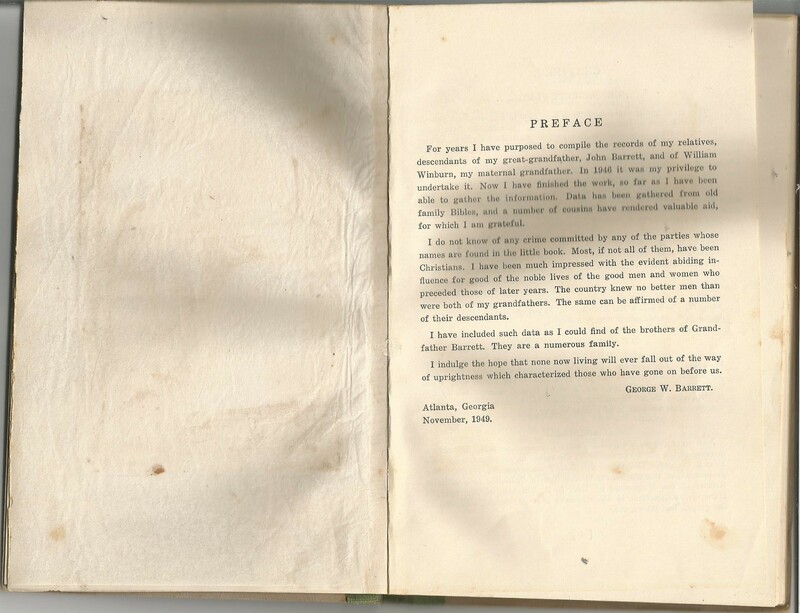 I have started a project of posting my great-grandfather’s family history book. First I scanned it. Now I have commenced the process of copying scans, cropping them, and creating a series of posts in which I tag the people whom my great-grandfather named. May this project help those researching family history. Do you have the whole book? 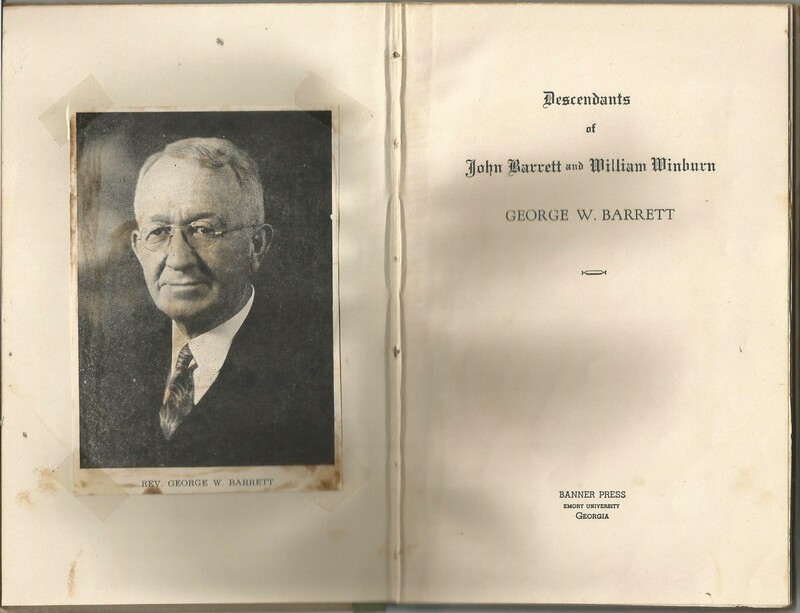 I am a Barrett descendent and found the book in the Georgia Archives but pages 6 and 7 are missing, and they seem to be the ones that discuss my family (George R. Barrett of SC and Gordon County. Census records show that his father was John Abbott. Do you have that information? I have posted the entire book.